Without very much ado, TV-Nihon recently releases the much awaited Kiba the Dark Knight Gaiden. The series' antagonist, Kiba, will now be the protagonist. 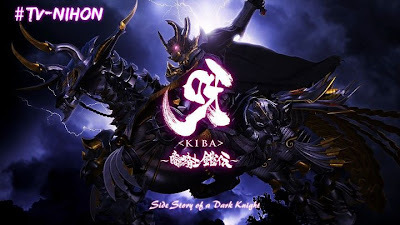 Kiba The Dark Knight Gaiden focuses on the titular Kiba, a suit of malevolent black armor worn by the villainous Barago in the Garo TV series. The Kiba special takes place before the events of the Garo TV series and is expected to explain how the Kiba armor came into existence and what makes it unique (among other things). New images confirm that Garo protagonist Kouga Saejima will appear in the special as a child, along with his father and previous user of the heroic Garo armor, Taiga Saejima.